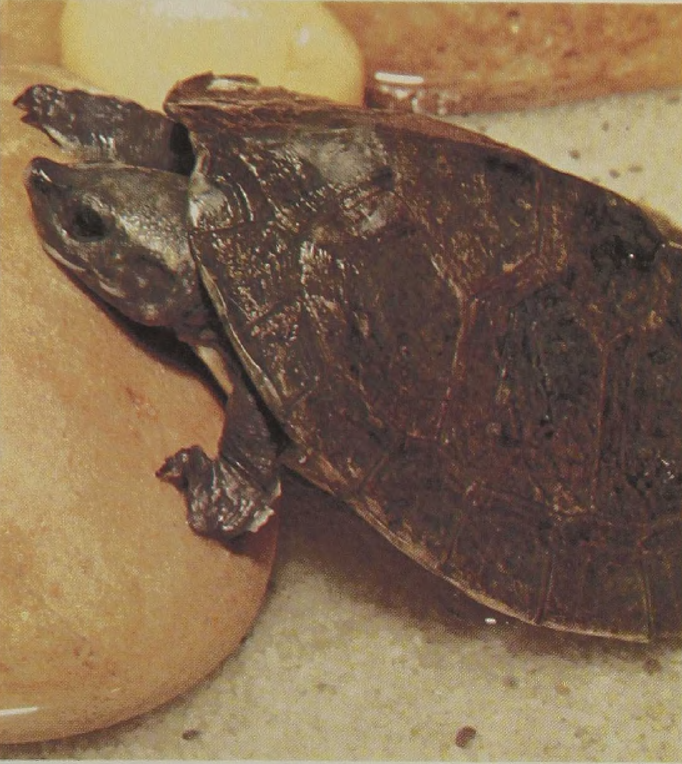 This large river turtle, which exceeds 2 feet in shell length, is found on the eastern side of Central America, in a region extending from southern Mexico to Guatemala and Honduras. It is a thoroughly aquatic species, so much so that it is said to have trouble moving on land or even holding its head clear of the ground for any length of time. Adult females lay about 20 eggs which they cover with decaying vegetation. Otters prey specifically on members of this species. This large river turtle is of considerable interest to the specialist because it represents the only surviving member of a family that might have been intermediate between the mud and the pond turtles and might have given rise to the latter family.